Innovation in the computer software industry over the past 15 years increased at a frantic pace thanks in part to the Open Source Software movement. This community of software developers uses legal methodologies to enforce rights and induce others to follow their lead and with openness has come more innovation.  The Free Software Foundation’s General Public License (GPL) in particular embodies this spirit and uses a kind of recursive philanthropy or an Open Source-only sandbox, which requires other developers to create their software under licenses with compatible philosophies. How the propagation of these licenses effects innovation in the software industry is the subject of this paper. 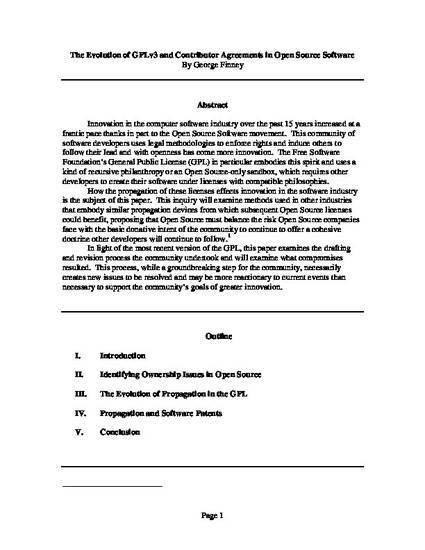 This inquiry will examine methods used in other industries that embody similar propagation devices from which subsequent Open Source licenses could benefit, proposing that Open Source must balance the risk Open Source companies face with the basic donative intent of the community to continue to offer a cohesive doctrine other developers will continue to follow. In light of the most recent version of the GPL, this paper examines the drafting and revision process the community undertook and will examine what compromises resulted. This process, while a groundbreaking step for the community, necessarily creates new issues to be resolved and may be more reactionary to current events than necessary to support the community’s goals of greater innovation.